This Italian exclusive make has been around since the golden era of traditional shaving. The 1930’s were a time that we try to reflect at Edward’s, with style and ethos. Italian barbery has such a strong part in shaving that it’s always good to stock these old brands. 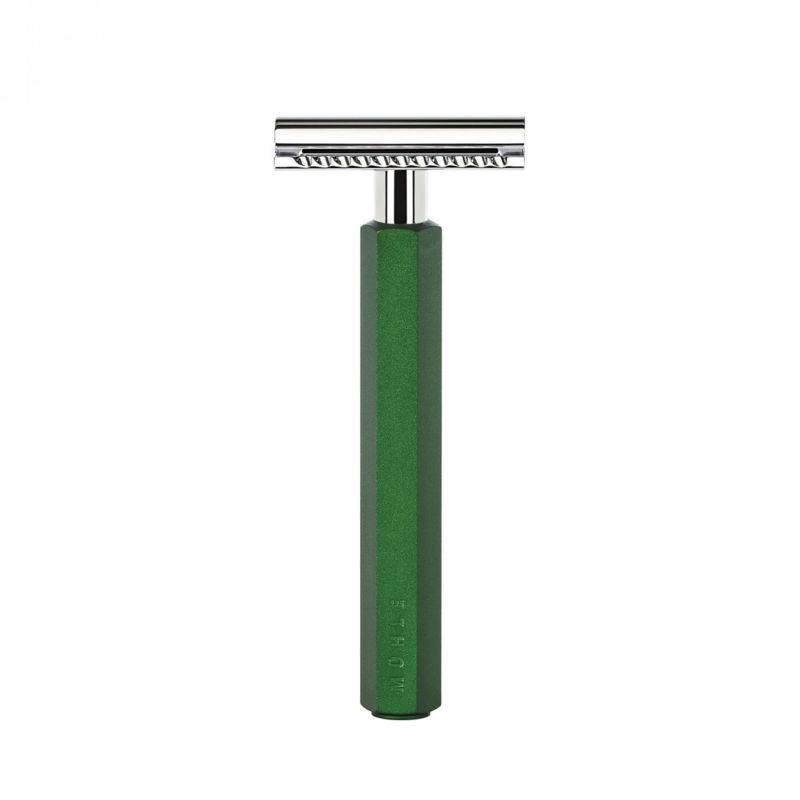 The Omega barber pole safety razor is a very sturdy piece of equiptment with a very solid chrome head. Which is middle aggressive and separates into two parts sandwiching a DE blade of your choosing. We would recommend a flexible blade for beginners and a stiffer blade for a novice. 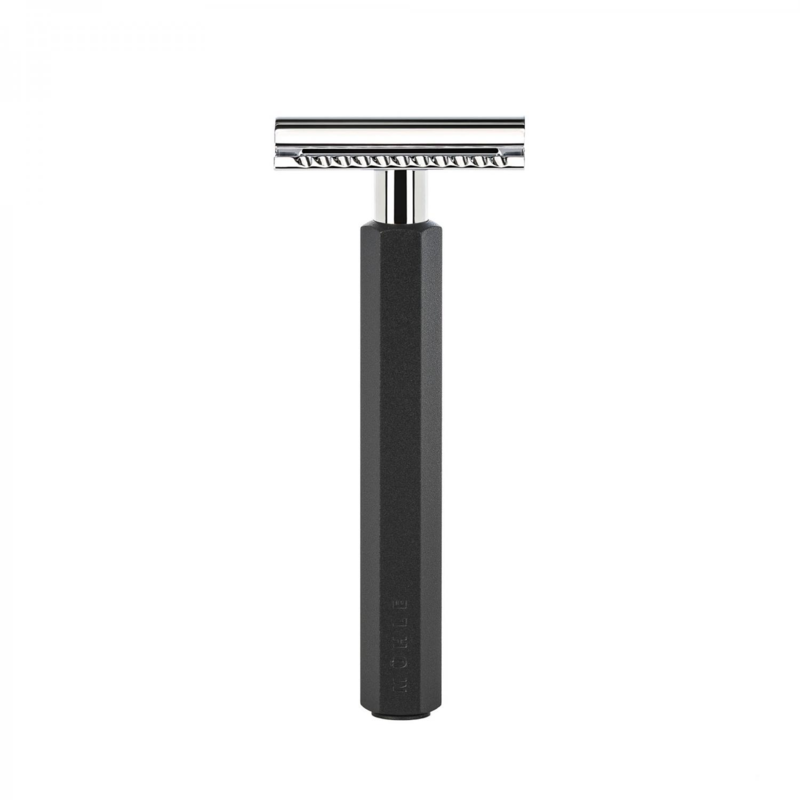 Flexible blades like Lord will give a bit of softness to the shave, that someone less experienced would benefit from. The handle is high grade resin and very sturdy. 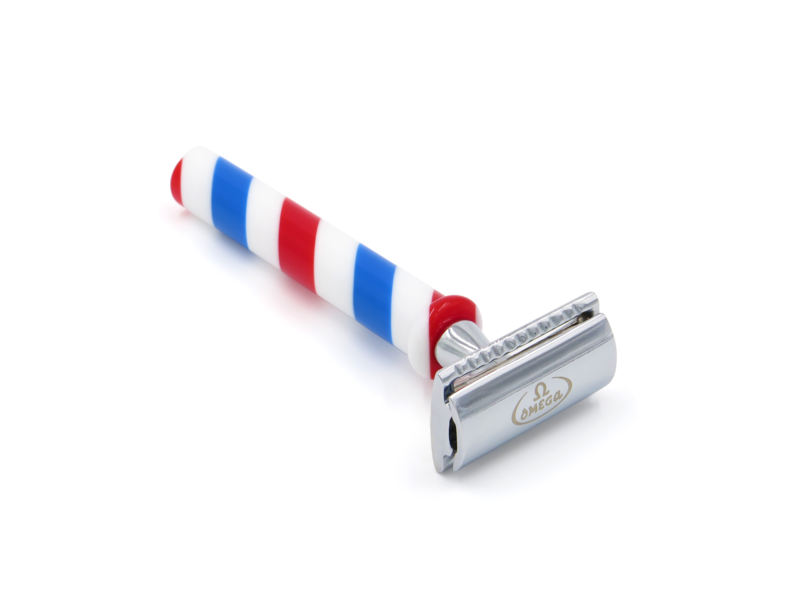 Most striking feature being it’s radical yet traditional colours, representing the barberpole. A symbol going back to the ancient Greeks. 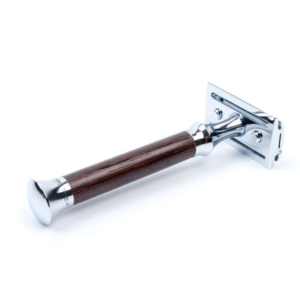 This well made safety razor will provide you with a great everyday shave, also it will take on longer hair. We would recommend always using shaving brushes and a high grade shaving soap or cream. Shaving with the grain is best for the first pass. We also recommend loose skin to be shaven on instead of the cliched tight skin pulled by your hand. This will only make cuts occur easier. We are happy to sell this exclusive product, as most people know Omega for their range of brushes noted for being of a great standard and boar hair. Edward’s shaving shop knows it’s safety razors and we also know how to use them. We apply this knowledge on our world renowned blog which was voted the 25 th in the world. Why not read up on a recent article about shaving method, which might clear up any questions you might have.